I’d like to draw your attention to two recent articles by Tom Friedman, a renowned columnist for the NY Times and one of my favorite authors. Tom is far greener than I; however, as an old economics major, I agree with him that it is the economics of the conservation energy that is most critical to our nation generally and the fledging Solar industry specifically. In the first article Tom discusses the growth in Applied’s Solar business and laments that the factories are being built in China. In the second article Tom goes on to say that the efforts by the Chinese in PV and their focus on Green Energy should be seen as an event similar to the Russian launch of Sputnik back in the 60’s an event that should be a clear call for action to spur the American people. Sputnik led to the “Space Race” and innovation in every phase of American life from Tang to the internet, but mostly it led to a huge interest in technology. And by the end of the Space Race, America was the technology leader in about every facet of industry one could imagine. However, over the past thirty years, we have turned our interest from making things to making money. We have allowed our best engineers to turn from tweaking hardware for best performance to tweaking trading algorithms that produce a bit more for the hedge funds. I think we need to take a hard look at what Mr. Friedman is saying and call on our Politicians to do the same. 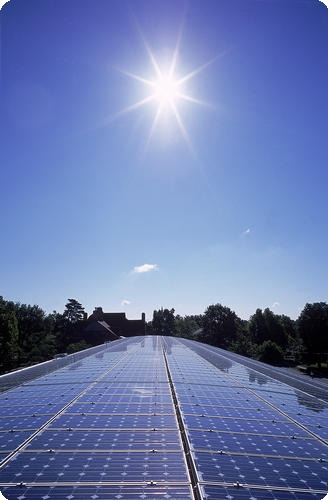 Solar Power is an industry poised for huge growth. The economics of the industry, the high degree of automation that can be used makes this an ideal industry that might just allow the American Manufacturing Sector a chance to crawl back from the dead. If we don’t, I’m afraid it will be a long time before the next opportunity presents itself and when it does it will only be because our children are the new low cost manufacturing site for a dominant Chinese economy. Cimetrix is dedicated to improving the efficiency of solar cell production and actively seeking avenues for assisting the US solar industry to achieve this goal. We have been involved in the PV-EIS Task Force since its inception. A world-wide factory automation software supplier to the semiconductor industry, Cimetrix is an expert in the SEMI connectivity standards and has already been working with members of the solar industry to implement the new PV2 standard. We offer a complete set of proven and efficient equipment communication software solutions for PV manufacturing.